Dr. Ellie Wright worked hard to be one of the first exo-geologists in space. It's too bad her employer cuts corners and has constant problems. When she's given the wrong data for a planet assessment, she ends up on the wrong planet and in the middle of a man...er...alien-hunt for Aladrina, a Sibian crime lord. Zyan, the tracker hunting the fugitive, is a gorgeous hunk, sweeping Ellie off her feet and into an intergalactic adventure. 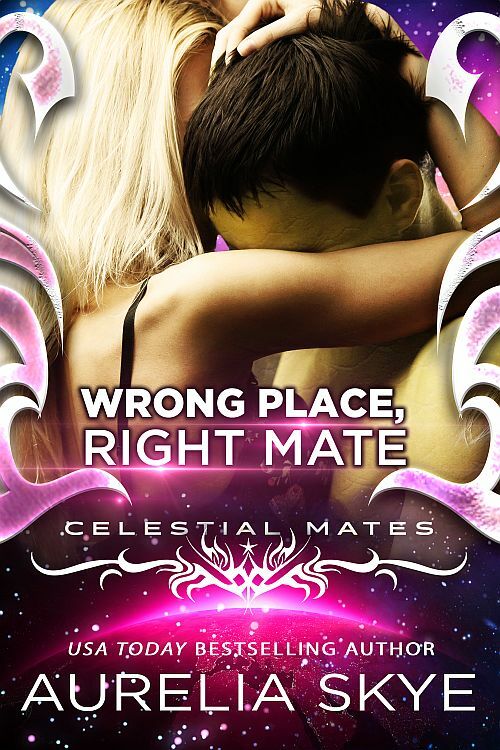 With someone at the Celestial Mates Agency watching over them, their HEA is guaranteed, even if the route there is a bit bumpy.